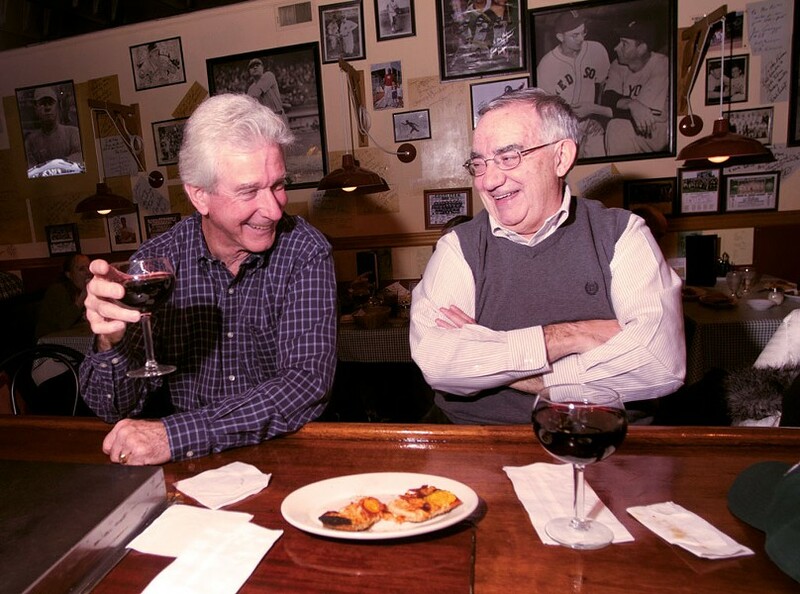 The Palms Restaurant has been around for generations. In 1933, cobbler Giuseppe Sabataso, who had emigrated from Naples to Rutland, took the advice of friends and opened a restaurant to showcase his wife Giovannina's ambrosial meals. The locals ate it up, literally: The Palms prospered through both the Great Depression and World War II. In 1949, the couple's son, Primo, rolled out some dough, spread his family's marinara sauce and sprinkled mozzarella cheese on top — then baked and served the very first pizza in Vermont. Seventy-eight years later, that thin-crusted pie is still a staple at the Palms, its recipe handed down through five generations of Sabatasos. 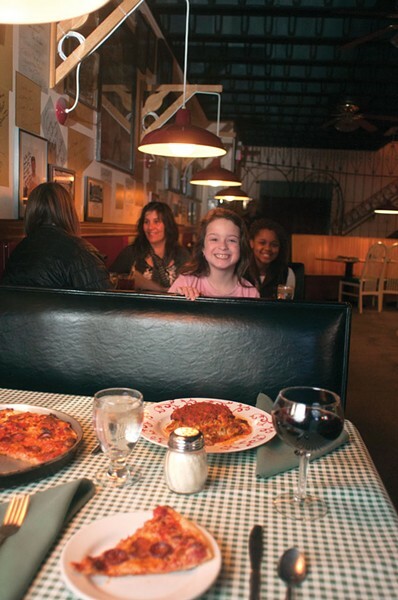 Now, great-great-granddaughter Jill Michel comes in each day to cook the sauces for the pasta dishes and pizzas, bake trays of her grandmother Dot's lasagna, and shape the eatery's velvety meatballs, sometimes with one of her own young children by her side. Her parents, John and Jerri, still own the place. The Palms isn't just a pasta joint, though. Regulars may eschew the more formal dining room for a seat at the vintage wooden bar or in one of the lounge's booths, where they sip hearty glasses of wine alongside chops of every persuasion — from ribeye steak Delmonico and filet mignon to succulent, peppery grilled pork chops served unadorned on a white plate. Lighter meals might begin with a vinegary, old-school antipasto plate composed of wisps of salami and provolone on iceberg lettuce dotted with olives. The famous pizza comes in tiny bites, too, so as not to spoil your appetite before a perfectly crisp calamari fritte, a molten lasagna packed with sweet Italian sausage or the red-sauce magnificence of a veal alla Palms — thin scallopine sautéed with savory bell peppers and cremini mushrooms, then topped with salty, melted mozzarella and served over penne. Everyone fills up quickly here, and it's not just with food: The enveloping warmth of the Palms has as much to do with family as it does with good Alfredo sauce. Linger through espresso and tiramisu, and you may begin to feel like part of the family, too. This article was originally published in 7 Nights: The Seven Days Guide to Vermont Restaurants & Bars in April 2012.